Ok I'll admit, I haven't exactly been consistent with updates of events. 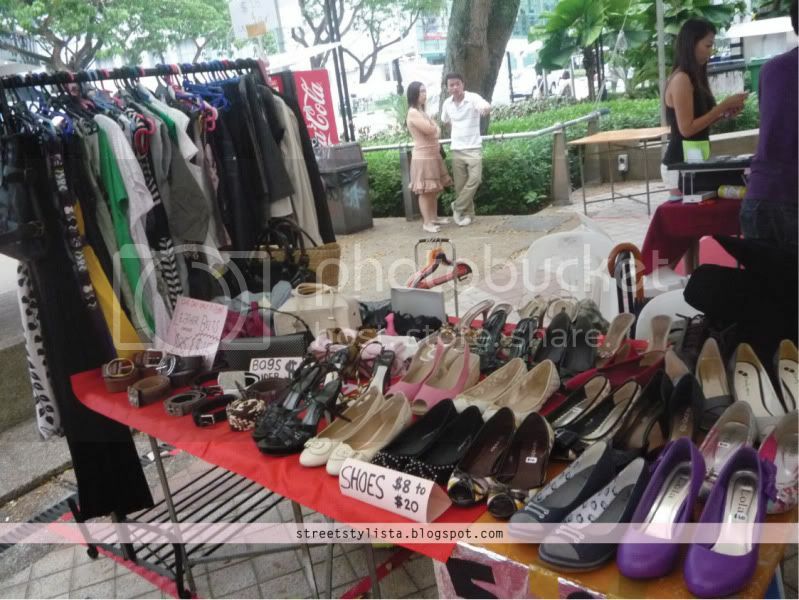 So, this was from the flea market I did with bff like er, almost a month back? Yup I know, like how fast am I right? Haha. Anyway, it turned out pretty good, over the two days we were there, we sold off quite some stuff & had quite alot of fun. Definitely one of the better flea markets I did, I was happy about that and it was bff's first flea so she was happy too. This was our table display on the first day. 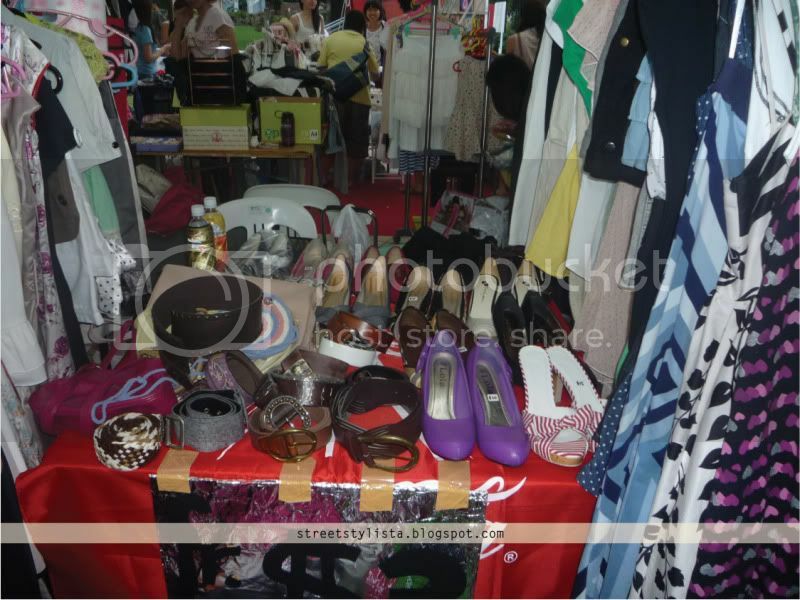 We only had one table so we basically displayed as much accessories, shoes & bags on the table as we could. We also had a clothing rack which I bought like literally 2 hours before the event. Mad rush. This was our space on the second day. 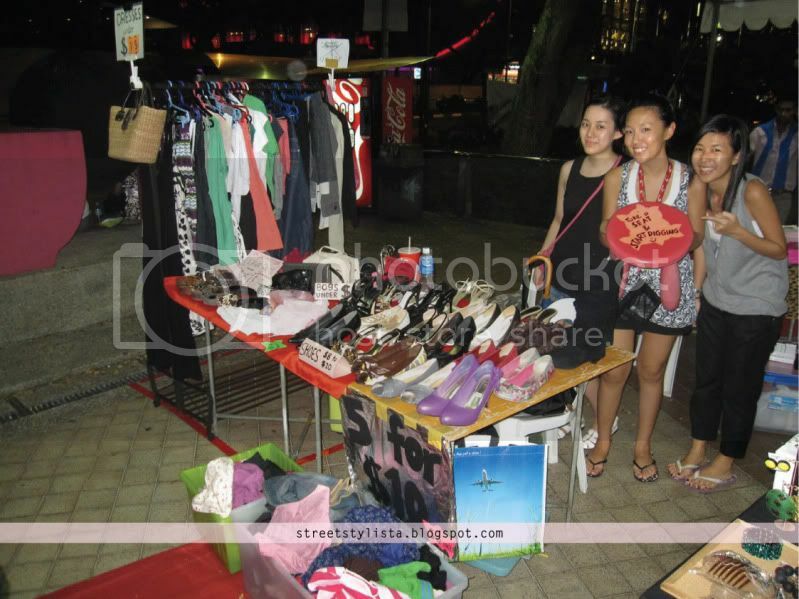 It turned out to be way bigger than the first day coz we were given two tables instead of one, which also turned out to be a good thing coz bff's friend came to join us to sell some of her own stuff and we ended up having a whole range of merchandise to sell. Our location was fab as well, located just at the main entrance where the traffic was pretty good. And that's us at the closing end of the day! I know it looks like we still have alot of things left, but that's coz we kept replacing empty spaces with new stuff once something was sold off (we did have ALOT of things). So guess what? I might be doing the flea again this weekend. Will update in following posts if I get a space. In the meantime, I've updated the shop (I know, like FINALLY). There's more clothes (new & pre-loved) and also a range of unisex leather belts. Do check it out! Click here to shop! i want to do flea with u next time! got some stuff to clear!! Shall we meet up soon? I havent mailed your present yet.. haha might as well pass to you in person.